Pilot's are in demand like never before. It's a perfect time to start your aviation career, even if you've never flown a plane before! Infinity Flight sincerely appreciates the challenges of our transitioning military veterans. Let us help you make the jump into a new career - without any cost to you if you use your VA benefits. Whether you are looking to earn your wings and get an aviation degree from our partner, Mercer County Community College (MCCC), or you already have college experience, we are ready to design a flight training program that works for you. Understanding Veterans benefits can be confusing. We can help you determine what funding options you are eligible for, and if they will meet your individual needs. Unlike other flight training programs throughout the country, Infinity's unique partnerships may help you cover the entire cost of your training if you choose to use your VA benefits. Utilizing our partnerships with Mercer Community College and Piedmont Airlines will get you into the seat of the world's largest airline in the shortest time possible with all the benefits that they provide. A career in aviation will give you the opportunity to apply the same dedication, passion and drive with which you served. Give us a call and let us get you started! What is the FLY Zero-Hour Program? If you're looking for a new career that gets you to the world's largest Airline, the Zero-Hour Program may be the perfect option for you. This program is a unique opportunity for military personnel who will be transitioning to civilian life to earn all of their pilot ratings with the goal of becoming a commercial airline pilot --spouses and dependents may also be eligible. Unlike similar programs, the Zero-Hour Program may come with little or NO COST to you if you choose to use your VA benefits. Another added advantage of this program is that if you become a Certified Flight Instructor (CFI) with Infinity Flight, you are guaranteed an interview with Piedmont Airlines - the regional carrier for American Airlines. Infinity and our partners will educate, train and assist you in finding what funding solutions are available to you. Any transitioning or separated military member, including dependents of military members that have no flight time, or up to a Private Pilot Certificate, may qualify for this program, AND the restricted ATP certificate that will get you to the airlines with less flight time. Not sure if you qualify? We'll take a look at your situation with no obligation. When should I get a medical exam? You will need to be able to obtain a first class medical with a designated FAA medical examiner before you start the program. Please visit here to find an examiner near you. Can I start my coursework before my separation date? Yes, some of the curriculum is online, and we are working to get more online soon. What if I already attended some college classes or have a degree? No problem, our college partner can look at classes you have taken and determine what will transfer. There may also be opportunity for previous life experience credit. Do I need to go to Piedmont/American? No, you do not need to sign on with Piedmont to qualify for the Zero-Hour Program. If flying for another airline has been your dream, or location is a priority, we understand you need to make choices that are right for your individual needs. However, you will not be eligible for bonuses that come with a commitment to working for Piedmont/American after your training. Let us know your intentions so we can make sure your training cost will be covered to the fullest extent. This is a two-year college degree program. Your commitment to flying and making training a priority can reduce these times. We can help you map out a realistic timeline to meet your individual goals. Every situation is different, but most pilots will have little of no out of pocket costs related to training if you elect to use your VA benefits. How do I know if I have enough VA benefits to cover the cost? You can apply for your Certificate of Eligibility (COE) here. Where will classroom and flight training take place? Classroom instruction may take place online and/or at Mercer County Community College main campus, and flight training will take place at Infinity Flight Group at the Trenton-Mercer Airport, Trenton, NJ. Upon completion of this degree program, you will have earned your Private, Instrument and Commercial Pilots licenses, along with a couple hundred hours of flight time. Keep in mind your goal is 1250 hours to fly for the airlines. In order to reach the 1250 hours, the next step would be time building. 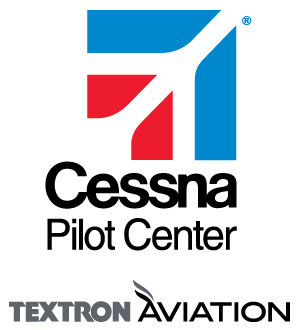 Most students elect to pursue their CFI rating to become a certified flight instructor. If Infinity Flight hires you, you will also be eligible to interview with Piedmont Airlines at only 400 hours of flight time. If accepted, you will be enrolled in the Piedmont Cadet Program. The program allows you to earn bonus money from Piedmont for every hundred hours you fly as a flight instructor at Infinity, and puts you on a direct flow to American Airlines without ANY FURTHER INTERVIEWS! You will also be eligible for Piedmont's employee referral program that pays $5,000 for each pilot you bring to Piedmont. No catch. Our team will look at your background and transcripts if applicable. You will know before you start how much of the program will be covered financially. If you don't like what you hear, simply walk away. You can apply for the Aviation Flight Technology degree program online here. If you would like to visit the facilities, and/or meet with someone at Infinity Flight, please give us a call at 609-883-0555 and we would be happy to schedule a time that is convenient for you.